When I think back to some of the most difficult moments of my life, I constantly question myself. Was I truthful? Did I show compassion? Have I gotten to a point where I can look back with forgiveness and mercy? The latter of these can be really tough. I want to be merciful, and yet it can be so hard. Mercy can be both one of the easiest and one of the hardest of actions to show other people. It can be easy to show mercy when working through a small, insignificant concern. But when things get weighty, emotional, or game-changing, mercy can be one of the most difficult acts to take. (The opposite can also be true…that is, it can be easy for some to show mercy in the tough situations of life and much more difficult to show mercy over minor issues!). One thing is clear to me as I look back on the tough moments of life: God desires us to show mercy. Jesus quotes this verse on two occasions when challenged by religious leaders (Matthew 9:13 and 12:7). He uses it to turn the tables on his accusers. On both occasions, Pharisees question Jesus’ actions. Jesus, in turn, questions their question. That is, he challenges their position, their actions, and their understanding by suggesting they should take Hosea 6:6 to heart. Then they might understand his ministry more clearly. Jesus is fundamentally about mercy. Only it’s not just mercy. The word is one I have talked about a lot in sermons and bible study and parader meetings. It’s hesed . Mercy, yes. But more than mercy. Hesed is the word used to describe God’s steadfast love. We don’t have a word in English that translates everything meant by the word hesed, that really describes God’s unconditional love. I desire a kindly-loyal-merciful-faithful-(the-sort-that-shows-up-in-actions) kind of love, not sacrifice. That is the statement Jesus uses to summarize what Huns ministry is about when challenged by Pharisees. That is what God wants from us. And it’s shown so clearly in a story that we read this week: the feeding of the five thousand. 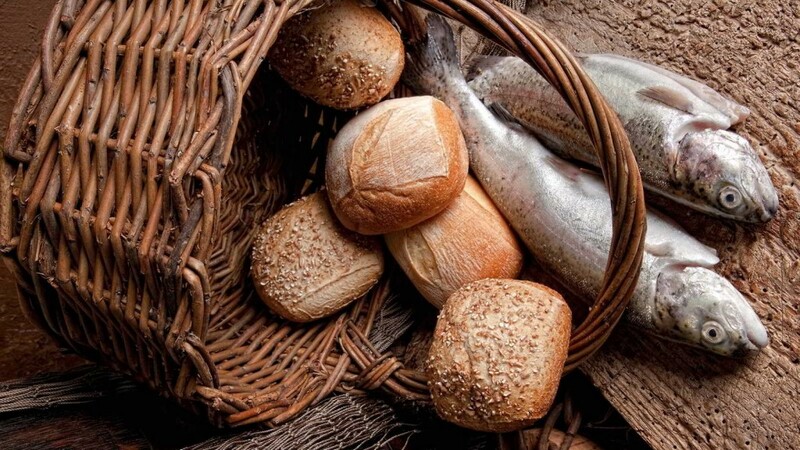 The miraculous meal which started with 5 loaves and two fish and fed thousands of people (keep in mind the number 5,000 only counted the men, women and children could have easily doubled or tripled that number) is fundamentally a story about God’s hesed. Jesus sees and hears the people’s need, and he responds in a kind-loyal-loving-merciful way. By quoting Hosea to Pharisees and feeding five thousand people in need in the wilderness, Jesus teaches us through words and actions that God loves and cares for us in a way that no English word can fully describe. god loves us with hesed . God loves us with a kind-loyal-loving-merciful kind of love. And as Hosea says and Jesus shows, God desires hesed from us as well. Where is there hesed in your life? Who has shown you kind-loyal-loving-mercy lately? And who might need such kind-loyal-loving-mercy from you today?